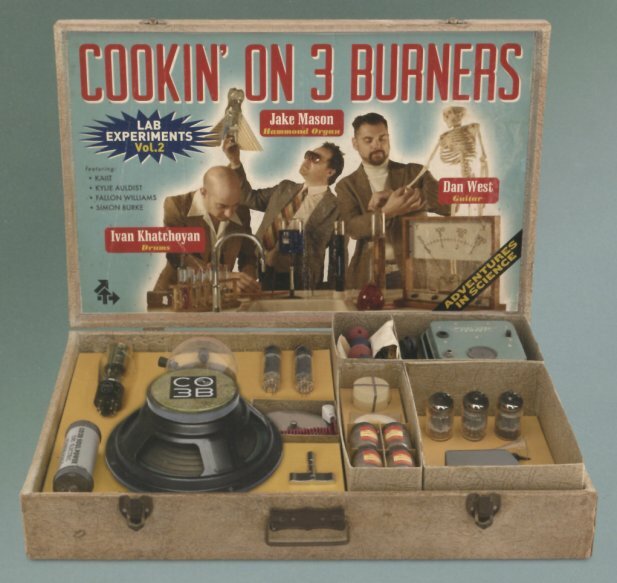 No experiments here – as Cookin On 3 Burners stick to their very tried, very true formula – with lots of heavy Hammond upfront, riffed up nicely by guitar, and set atop some rock-solid drums! The trio just get sharper and sharper with each record – and this time around, they make space for a bit of guest help – vocals on four tracks from Kaiit, Fallon Williams, Kylie Auldist, and Simon Burke! The core sound is still strongly instrumental, though – and even when there's a singer, the organ burns with lots of intensity – on tunes that include "The Jump Off", "Warning", "Howler", "Force Of Nature", "Garden Of Freedom", "The Deep End", "One Of The Ones", and "Sunday Mumma". © 1996-2019, Dusty Groove, Inc.